AgPLUS will conduct a thorough KTS supplier chain mapping project to identify additional opportunities for value chain integration, output leakage reduction and improved infrastructure. This effort will be led by Co-Applicants with assistance from region’s EDCs, the Northeastern California (NEC) and UC Merced (UCM) SBDCs and the two MEPs (Manufacturing Extension Partnerships) in California—Manex and CNMI. The Co-Applicants will exercise the option to commission a specialized firm in supply chain mapping such as Supply Chain Visions ®. AgPLUS will leverage supply chain mapping to facilitate match-making opportunities between KTS businesses, SMMs, investors (both foreign and domestic) and researchers. Consortium members, especially the SBDCs, EDCs, the Chambers of Commerce, and city and county economic developer leads will identify priority targets for business expansion, attraction and start-ups to fill gaps in the supply chain. Match-making will occur via showcase events such as the Fresno Food Expo and future expanded events. 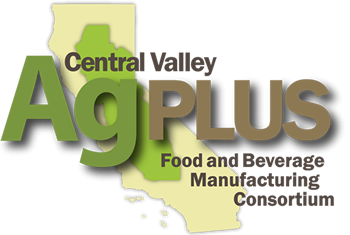 Opportunities for new business development will be connected to other AgPLUS assets including strategies for commercializing technologies, workforce development and capital access. Supplier Discovery – Find the Right Job Shop. Fast!